Looking for medical insurance cost savings? Sign up today for your complimentary benefit assessment! 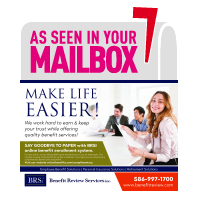 Your BRSi Benefit Advisor will meet with you to review your current plans, budget and company goals. Your BRSi Benefit Advisor will work in tandem with a BRSi Benefit Analyst to design a benefits package that will lower your cost while enhancing the benefits for your employees. Once a plan of action has been determined, our BRSi team will complete the Plan implementation and manage your entire Employee Benefit Program throughout the plan year.